Media company Twenty-First Century Fox has agreed to buy seven TV stations from Sinclair Broadcast Group for $910 million. 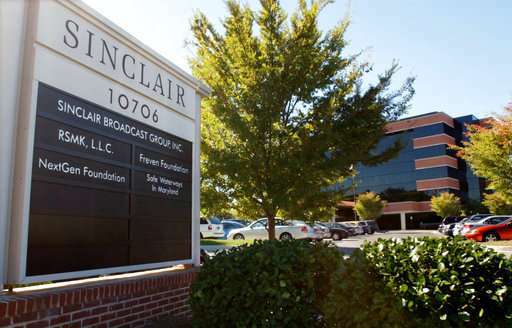 The move comes as Sinclair is selling some stations to meet regulatory approval for its pending $3.9 billion acquisition of Tribune Media. Meanwhile, Disney is pursuing a $52 billion takeover of much of Fox, though TV stations will stay with Rupert Murdoch's family under a new Fox company. Both Sinclair deals are contingent on the acquisition of Tribune Media closing. The Fox deal is expected to close in the second half of the year. Sinclair received widespread attention after news reports in April showed dozens of Sinclair news anchors reading an identical script expressing concern about "one-sided news stories plaguing the country." At the time, President Donald Trump tweeted his support of the network.